When hosting a breakfast with Santa event, the goal is to make the event so special for the young attendees that they talk about it even after Christmas. At this event, children are allowed to socialize, have breakfast with their families and visit with the big man in red without the hustle and bustle involved in visiting a mall Santa. All the little, extra touches you put into the event beyond the one-on-one Santa time make the experience special and memorable for all involved. Offer pancakes, scrambled eggs, bacon, toast, sliced fruit, juice and coffee at the breakfast event. Keep the meal simple, as the children will be excited to visit with Santa and heavier foods may cause children to feel ill. The food can be served buffet-style or brought to the tables for the children. 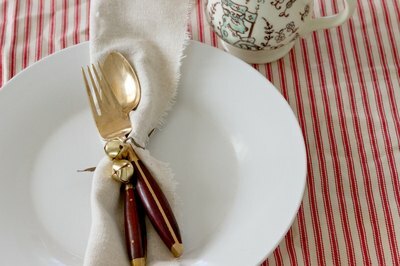 Decorate the plates with small candy canes or colored candies as added special effect for server-style breakfasts. 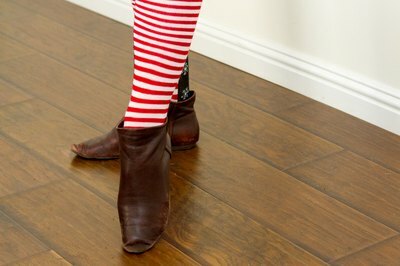 Whether the meal is buffet-style or server-style, ask servers to dress as elves. This makes the experience fun for the children and helps build anticipation when Santa's special helpers arrive to serve breakfast. While the children are eating, Santa can make an entrance into the dining room and visit with the children, engaging each table in conversation. After breakfast, allow the children to visit with Santa. Have a photographer nearby so pictures can be taken. Give each child a chance to tell Santa her wishlist and talk with him. The key advantage of breakfast with Santa is that the children have a chance to spend some personal time with Santa. 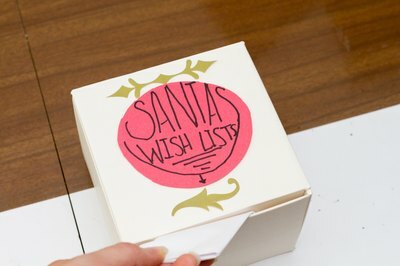 Decorate a box and provide pen and paper on a separate table so children can physically hand Santa a wishlist to be placed in the wishlist box. While Santa should hand out small candy canes, small, inexpensive gifts can also be distributed to each child. Contain the gifts in Santa's special bag; have an elf give one to each child as he leaves Santa's lap. Gather together a number of gifts higher than the expected amount of children to support the belief that Santa's bag never runs out of presents. Depending on your preference, the presents can be wrapped or left open. 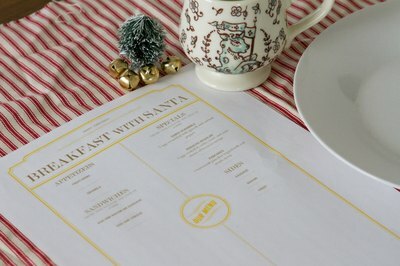 Fundraising Ideas: How About Fundraising with a Breakfast with Santa?